Tibbs Fleet Services is a locally owned and operated business, which was first started by Peter and Leah Tibbs in 2006. The company offers essential servicing and maintenance for all truck brands that are either independently owned or fleet managed. Our workshop is equipped with state of the art equipment, using advanced mechanical technology and the latest diagnostics instruments to detect, identify and service or maintain-trucks and trailers. Our qualified mechanical technicians would then go onto using genuine high-performance parts and accessories and original oils for most makes and models of trucks, to carry out mechanical servicing and maintenance. We also offer a range of quality aftermarket parts and spares, which has been quality tested and approved for reliability, affordability and proven performance that is assured. We aim to keep your truck on the move. At Tibbs Fleet Services, we also offer to provide fleet management solutions. Which means, we will ensure that each and every vehicle within the fleet is managed individually. We will ensure that a service history record is kept, together with a service log. That will provide us with essential information about the vehicle, the repairs and maintenance that has been carried out. And we can contact you to remind you about a service or maintenance inspection when it is due. Our service team will ensure the smooth running of your vehicles, maintaining a high level of workmanship, and reducing production down-time to ensure that each vehicle is kept on the road. To find out more about our fleet service plans, or to book your fleet in with our trusted mechanic experts, call us on (07) 4933 221 today! Tibbs Fleet Services are an authorised Scania Dealer. Which essentially means, we can carry out services and maintenance to Scania Trucks and Trailers, using genuine Scania parts. You will also get more than just an oil change when you maintain your vehicle with an authorised Scania Dealer. And here’s why? 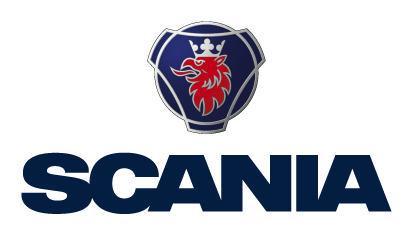 Tibbs Fleet Services are also Approved Scania Dealer. Which essentially means, we can carry out services and maintenance to Scania Trucks and Trailers, using genuine Scania parts. You will also get more than just an oil change when you maintain your vehicle with an Approved Scania Dealer. And here’s why? Before you visit our workshop, your vehicles status report can be uploaded before you arrive. That means quicker visits and uptime for you. There is also a large number of benefits for allowing us to repair your Scania Truck. We use genuine Scania parts and accessories. Or you can purchase any Scania parts and accessories from Tibbs Fleet Services. Allow our friendly professional staff to discuss this with you, when you call us on (07) 4933 221, today. Prompt turnaround and guaranteed workmanship. Don’t settle for less. From call outs at ungodly hours “ flat batteries driver error duh “. Having the truck back on the road Sunday afternoon after breaking a throwout bearing at 4.30 on Friday. To offering advice over the phone on how to fix a broken exhaust brake linkage arm because I am miles from civilisation. These are just some of things the guys at Tibbs Fleet Services have done to help me out over the years. With a modern workshop, professional well trained staff and good old fashion country service you would be mad not to at least give them an opportunity to show you what they are very capable of doing. My transport business (Browns Express) consists of vehicles ranging from utes, vans body trucks and semi’s and I have always had Tibbs Fleet Services for my servicing and breakdowns as they are very reliable and super prompt as they understand the importance of keeping the wheels turning. Tibbs Fleet Services always work with me and my team to fit in with our schedules to perform any work required and nothing is ever too difficult or a problem. When people say it’s so hard to find a decent mechanic, I tell them we don’t have that problem using Tibbs Fleet Services. They have serviced our private vehicles for nearly 10 years and they now service our business vehicles. We have complete faith and trust in Peter, Jeff and the team. They look after our vehicles as if they are their own. When the job is complete, they run through the complete diagnosis in detail and explain everything in “normal” language. Nothing is every a problem, especially last Christmas Eve when Peter went out of his way to look at our car so we could still travel on Christmas Day. Thank you! We highly recommend you try Tibbs Fleet Services. Tibbs Fleet Services has provided RWC certificates for vehicles we have bought at auction to add to our fleet. Tibbs Fleet Services always does the Certificate inspection in a timely manner which aids us purchasing the vehicle without hassle, this gives us the time to organise the other details needed when adding a vehicle to our fleet. We know the vehicle will not have any hidden issues so it can start work straight away. We can completely trust the team at Tibbs to give a through and truthful check of all our vehicles. Capricorn Citizen Advocacy is a disability advocacy program (not for profit) based in Rockhampton. We have just one vehicle in our ‘fleet’ which has been maintained for the past 5 years by Tibbs Fleet Services. Tibbs Fleet Management is a locally owned successful business and it has grown since it started because the team works hard at doing things right. Although we are a small customer, it does not make any difference to them. Peter, Leah and all the crew at Tibbs Fleet Services are very easy to talk to, prompt in getting regular services done and obliging in scheduling things. They always forewarn us about any future maintenance needs before they occur. As a long term customer, I have no hesitation in recommending this business to others for their professionalism, their value for money and their honesty and integrity with their customers.